Scarface is undoubtedly a legend. He has a great catalog with consistency throughout his career. After the recent release of his newest album "Deeply Rooted", we wanted to look back at two of his greatest albums today and see which would be considered better. Let's get into it. The Diary is a southern classic. Plain and simple, buttered and toasted. However, I'll give it to The Fix because The Fix showcased more of Scarface's diversity, for me at least. It wasn't just a dope southern classic which still manages to be a classic throughout. The Fix, from top to bottom, is a classic in any place, time, etc. But, both albums should be in your rotation. Scarface is one of my favorite MCs ever first and foremost. I think his discography is something worth of praise and respect. He has 4 classics in my opinion, but of course we're only gonna discuss two of them. The Diary and The Fix are considered his best work. Maintaining his cold blooded storytelling and Geto Boy ruthlessness, The Diary definitely focused more on the lyrics, which it should given the title. 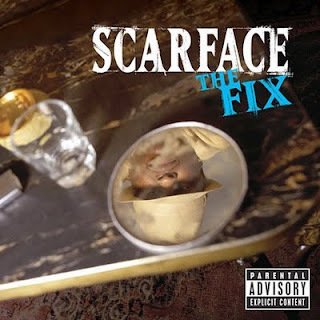 The Fix was more about the music as Scarface was entering those "wise OG" years in the rap game. The Fix was one of the first rap albums I've ever heard. I definitely could picture things like it was a movie. Reminded me of Ready To Die a little. Pops suggested I go back and listen to Geto Boys and Scarface work before the Fix. End result? Geto Boys being my favorite rap group ever and me appreciating The Diary more than The Fix. Certain rappers I only care for their rhyming and storytelling over their ear for good beats and production. Scarface is that kind of rapper. 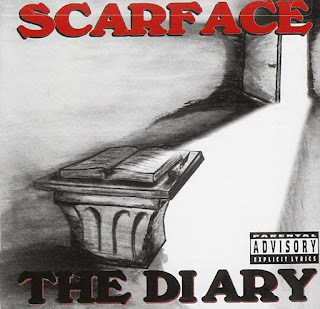 I definitely put Diary above Fix, because I could tell Scarface cared more about what he was saying than relying on heavy production like he did on Fix. I may be a bit biased because Houston, but Scarface is easily one of the best artists to ever exist. The Diary is a solid work of art, but The Fix is immaculate. "Guess Who's Back", "My Block" and the transition between the two is a shining moment in rap history. There's a 8 year span between the two albums and so much transpired during that time. The Scarface that we find on The Fix is an amazing progression of who he was in '94 with The Diary, which centers around death and righting wrongs. The Fix offered a sound and a message that really resonated with not only listeners, but artists as well, especially ones who seemed to be dealing with the same woes Scarface was. Both technically and content wise, I prefer The Fix over The Diary. Although Brad Jordan can do no wrong in my opinion. This is a great comparison and a tough one. Scarface put out two classics, and while I loved The Diary, The Fix actually hit me on a personal level. The Diary doesn't feature the true OG wisdom and the emotion of The Fix. The Fix has anthems, street songs, introspection, and straight up hip hop tracks as well. For me, the choice became obvious when the opening sounds of the Neptunes produced "Someday" hit. Faith Evans provides a soulful hook, as Face drops some deep lyrics and touching verses. The Diary is a solid piece of art no doubt, but The Fix is just on another level. It is one of my favorite albums from 2002 and is personally my all time Scarface album.